Lloyd Kaufman alongside his creation, the Toxic Avenger! 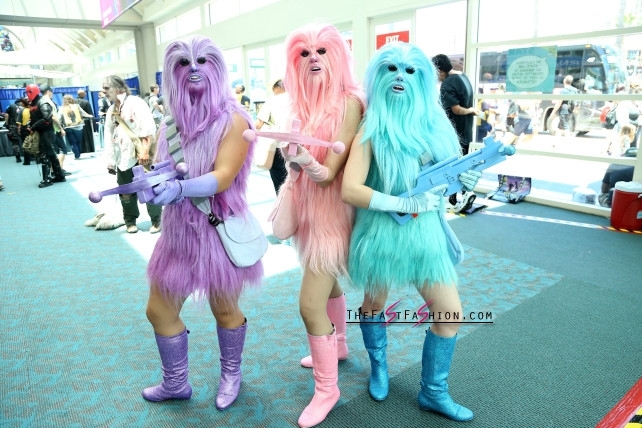 Lady Chewbaccas take the Comic-Con floor by storm! Tara-Nicole Azarian brings out her Wonder Woman. 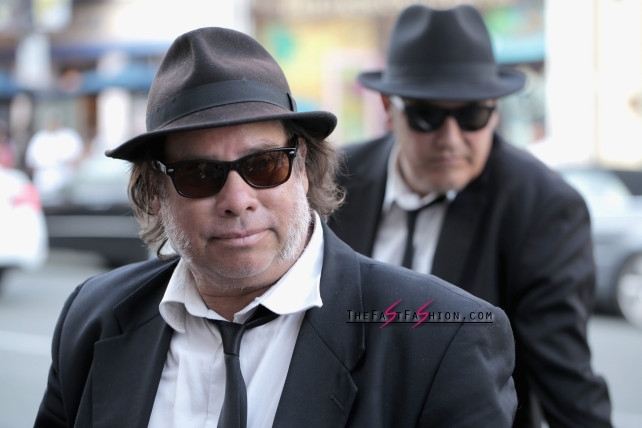 The Blues Brothers put some soul in the Comic-Con atmosphere. 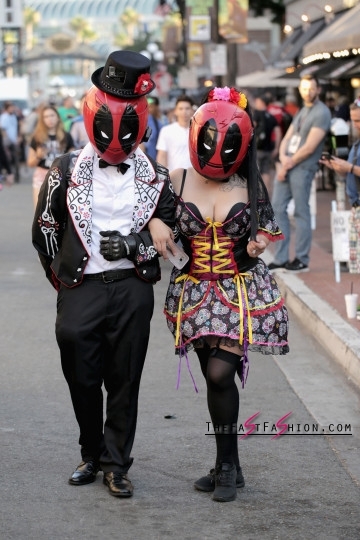 Deadpool couple strolls down the Comic-Con strip, leaving mayhem in their wake. 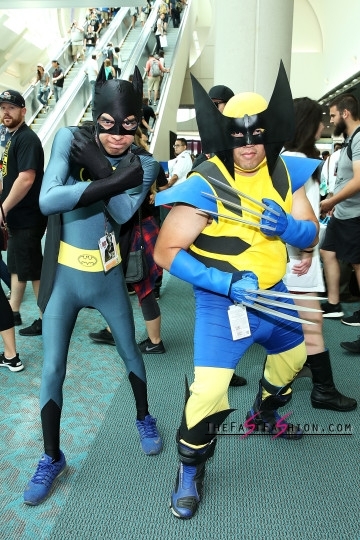 Batman and Wolverine test their intimidation poses…successfully? Cammy from Street Fighter awaits her next challenger. 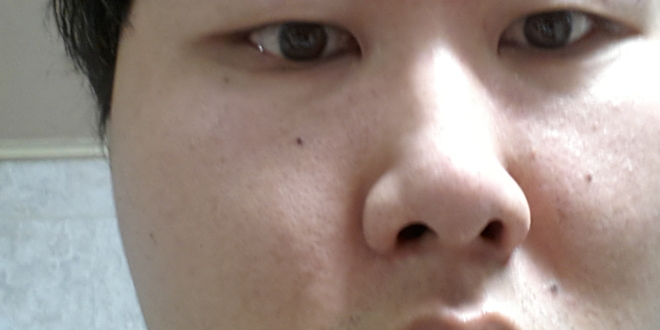 Spiderman flexes his photography muscles. 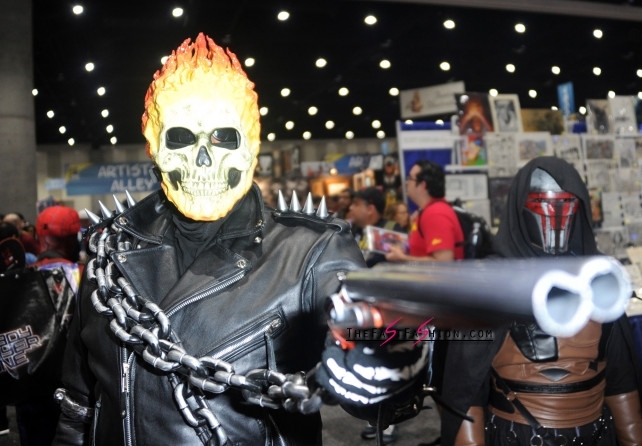 Ghost Rider hunts for souls in the Comic-Con floor. White Walker Snow White eats an apple for lunch. 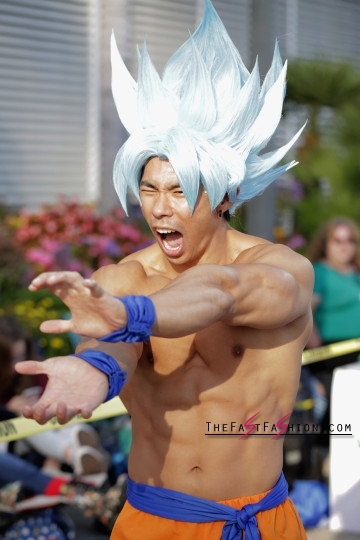 Super Sayan Goku expresses himself. 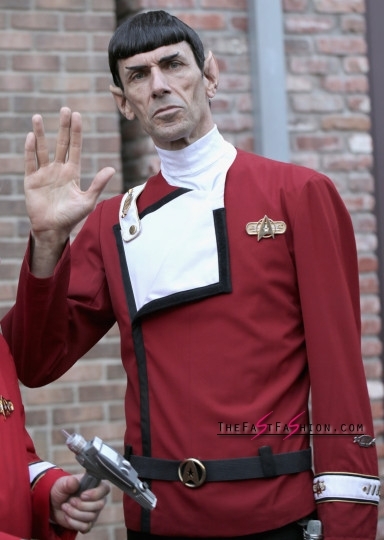 Mr. Spock vulcan salutes his way through the Comic-Con floor. Spider-woman, Lady Deadpool and Harley Quinn team up for Comic-Con. 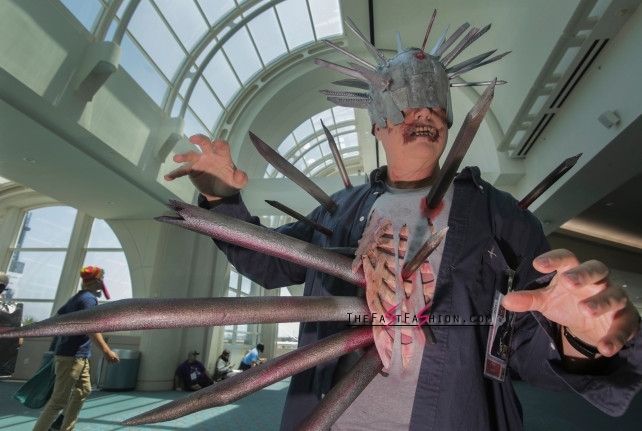 Silver Surfers enjoy the sunny side of Comic-Con. 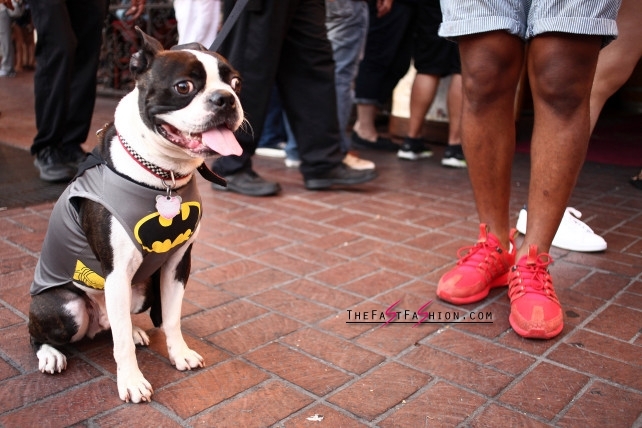 A french bulldog dons the Bat-dog mantel. Characters from the Monster Hunter video game show off their monster hunting weapons. 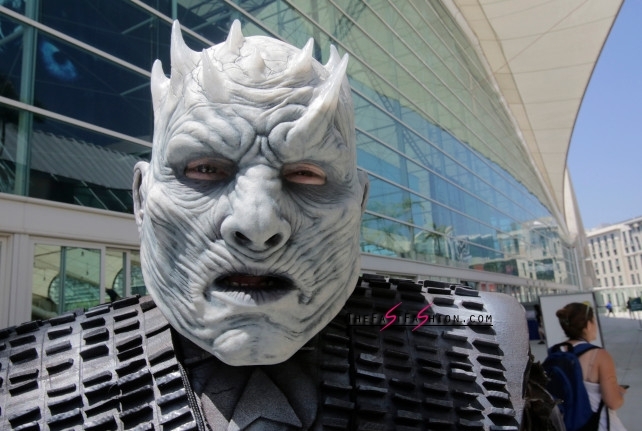 The Night King from the Game of Thrones roams Comic-Con 2017. Chris Craig plays the part of Ash from the movie Evil Dead II. 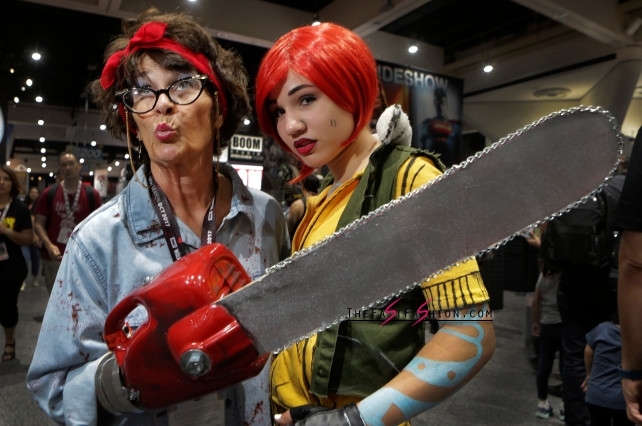 Anne Leanzo, of Virginia, plays Ash from the Evil Dead movie and her daughter Gina, 15, plays Lilith from the Borderlands video game. 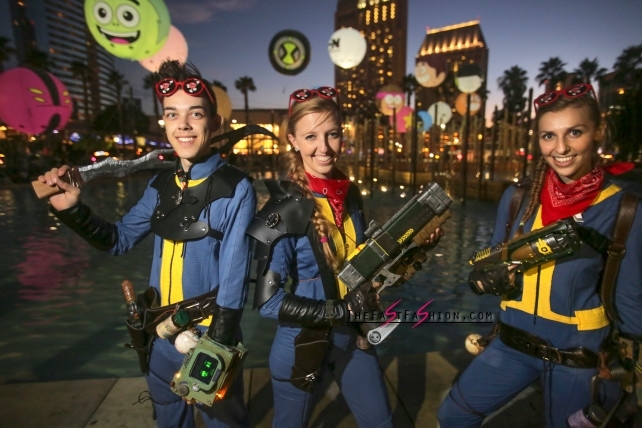 Playing The Lone Wanderer from the video game Fallout are from left: Avalon Parton, Gina Ghiglieri and her sister Lisa. 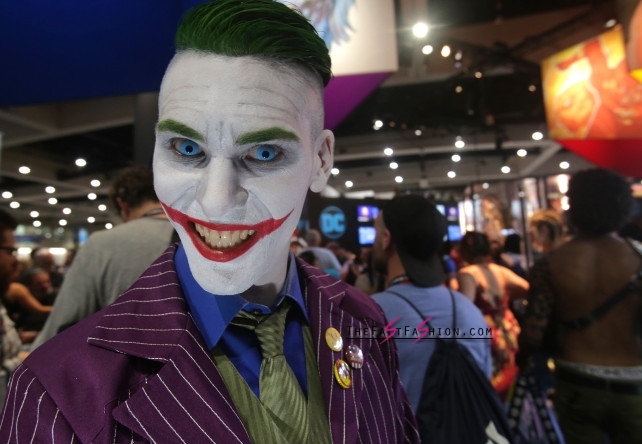 Jordan Quinzon plays the character The Joker from the Batman comics. 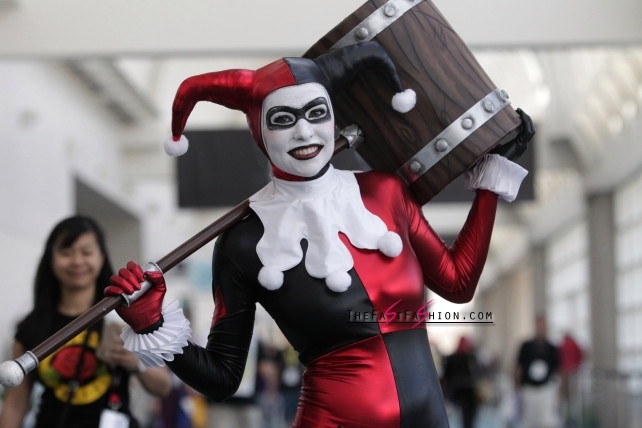 Alex Waldron plays the part of Harley Quinn from the Batman: The Animated Series. 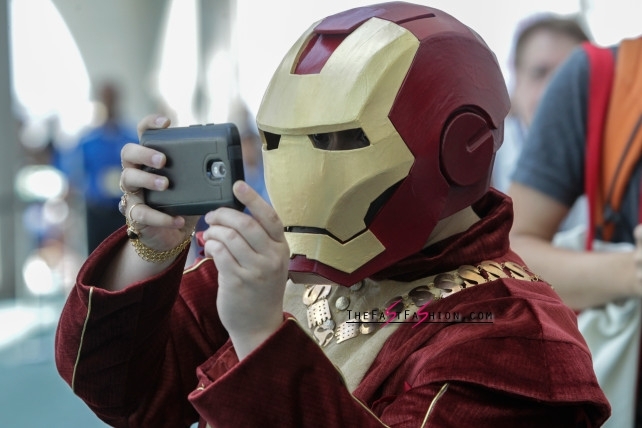 An Iron Renaissance Man takes a photo with his hi-tech smartphone device. 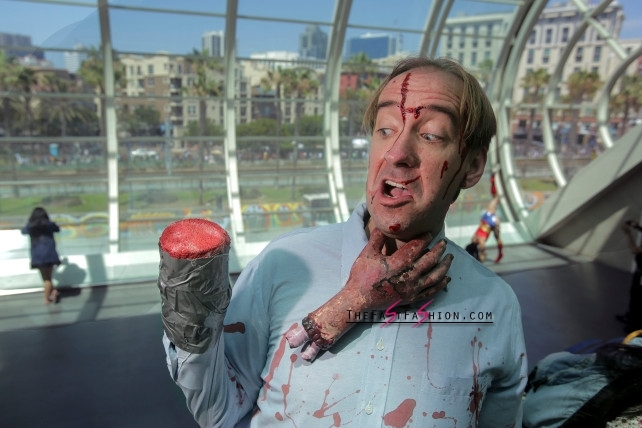 Bruce Steadwell of Phoenix, Arizona, plays the part of Walking Dead character Winslow. 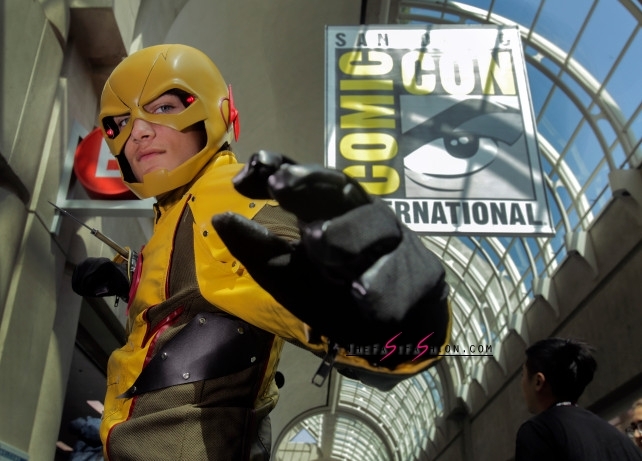 Ryan Schmidt, 14, of North Carolina, plays the part of Reverse-Flash. 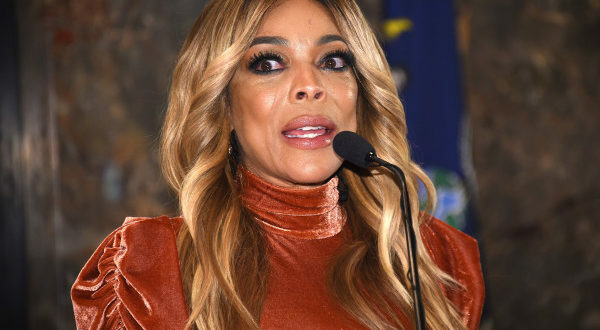 ‘Pretty Little Liars’: What’s Next for the Cast?